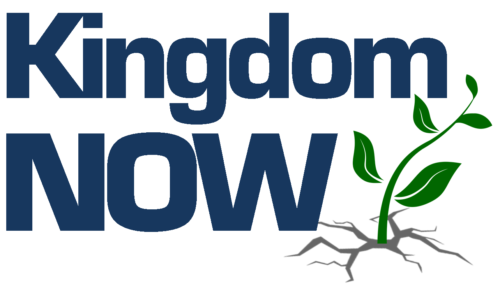 For the 2018-2019 school year, First Baptist is adopting a church-wide emphasis: Kingdom Now. As we as a church and as individuals reflect on how God has called us to seek the Kingdom around us, we will be celebrating stories of ways that members of our FBC Family of Faith are doing Kingdom work right here in Lumberton and Robeson County. When we dreamed up the Kingdom Now emphasis for this school year, we had no idea what Mother Nature had in store for us. Less than a week after introducing the theme and posting our first Kingdom Now story (which we will re-share at a later date! ), Hurricane Florence wreaked havoc on our community, a mere 23 months after Hurricane Matthew did the same in 2016. Some spent days on end at the Emergency Operations Center, helping coordinate critical information to keep our city and county residents safe in the constantly changing storm conditions. Some were part of a team of civilians, city employees, and National Guard members that filled sandbags to help fill a gap in the levee in West Lumberton, seeking to help our neighbors on that side of town. Some have shared their sump pumps, tools, hot water, food, and more with their neighbors to help clean up and provide some comfort in the days that followed the storm. Some have worked to transport supplies all over the county to distribute to those in shelters and others in need. Some have spent time in the shelters, offering encouragement and kindness to neighbors who have been displaced. Some have been working to ensure that their employees are safe and have what they need. Some spent the entire storm at the hospital, on call and ready to serve. Some have ministered within their own flooded neighborhoods, offering resources and encouragement to their neighbors. Some gathered for our Inasmuch Day, which transitioned into a clean up day. These volunteers raked yards, cut up trees, and even cleared our playground so it could be used by our daycare children. Some have offered a smile and a kind word to our neighbors coming to our activity building to seek replacement food stamps. We are collecting money to be used by helping agencies in our community. We are hosting a team in our church building from Christian Aid Ministries, who have come to prepare and serve meals in the community. This week, we are serving as a DSS location for those seeking replacement food stamps. Starting on Wednesday and for the foreseeable future, we will be sharing space with our brothers and sisters from West Lumberton Baptist Church, who were again flooded out. Seeking the Kingdom isn’t always easy. It’s hard work that requires some flexibility and a lot of grace, especially when it involves stepping outside of our comfort zones and adding to our normal list of responsibilities. But, it’s good work, and it’s important work that we are called to…especially now.